Patagonia, a word that conjures remoteness … jagged snow-peaked mountains, glacial lakes, vast scrubby brush, brooding pampas, galloping horses, deep silence and Bruce Chatwin’s best-selling travel meditation on the “end of the world.” Patagonia beckons with a distinct hint of eternality. The Patagonia Sur Reserves, specialists in well-crafted wilderness and wildlife adventures, has announced a unique opportunity to travel in Chilean Patagonia with Celine Cousteau, world-renowned ocean explorer, photographer, documentarian, environmental champion. She is the granddaughter of the legendary ocean explorer Jacques Cousteau whose career inspired three generations of ocean conservationists. Seems that she inherited the marine gene – big time. Patagonia Sur Reserves encourages guests to combine their two distinct properties into one over-the-top experience: Melimoyu and La Estrella Ranch in Valle California, a short flight away. Melimoyu excels in martime excursions. A sea safari with Celine Cousteau elevates this trip froman adventure to an inspirational and possibly life-changing adventure. Venture with Celine Cousteau into the private Melimoyu Reserve, a one-of-a-kind glacial bio-haven, home to a variety of flora and fauna not found anywhere else on earth. Wild and beautiful. Set on the Gulf of Corcovado, Melimoyu’s rainforests, waterfalls, ice-covered mountains are all home to rare and unique species of animals and birds, such as Darwin’s frog, Magellanic penguins, pumas, pudú (an endangered miniature deer), gigantic blue whales, fur seals, and sea lions. Chug along on with Ms. Cousteau in the touring boat. Their pioneering study of blue whales in this area reveals its significance as breeding and feeding grounds for the largest creature on earth. Paddle the shoreline in double or single kayaks, hike in the temperate rainforest and visit the village of original settler descendants. In the evening at the family-style dinner and before a hot tub soak, Celine will share her travel tales and ocean adventures. La Estrella is their luxuriously rustic ranch in the Valle California Reserve, set along the river in the Andean foothills. The expert expedition team welcomes only 12 guests at a time, with a menu of experiential treats: horseback riding, river fishing in the pristine El Tigre River, hiking, kayaking, float trips, mountain biking, and limitless bird watching. 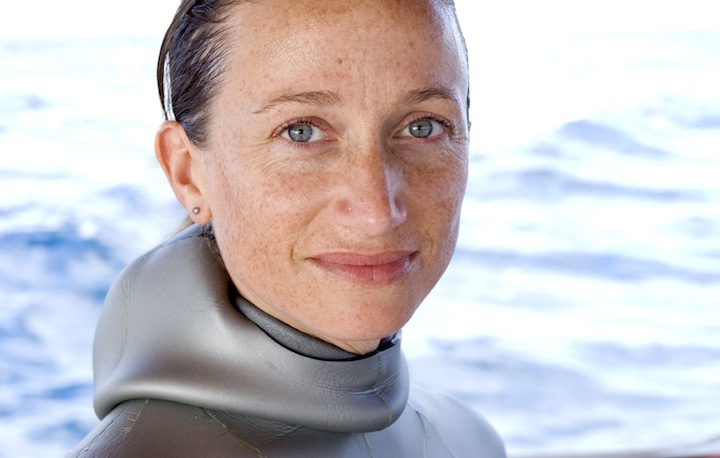 Only one departure this year features the chance to be with Ms. Cousteau: March 2 – 13, 2013, (it’s still summer there) with a maximum of 10 guests. Patagonia Sur Reserves is dedicated to conservation in combination with rural community businesses and development. The visionary and highly energetic owner and founder, Warren Adams promises to keep its environmental footprint small and its experience exclusive.